Ferro-cement is a method of construction ( there are many ways to do it but here is mine) where you make a frame of steel mesh (about 2 inch mesh) … and attach chicken wire to it every few links. 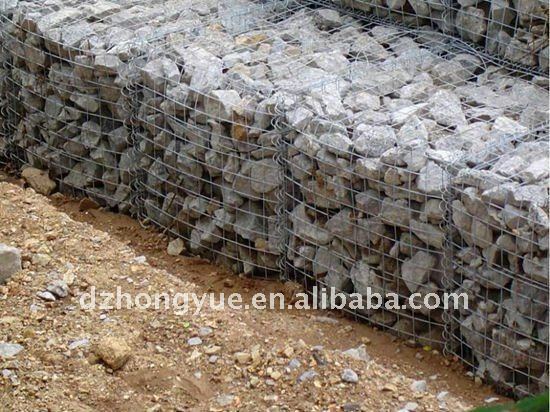 or start with EMPTY Gabion’s , ones of the right dimensions, — preferably a thinner type like 1 a foot thick or less – they are made in many sizes — 3 foot by 4 foot by 1/2 a foot and use them as you would bricks .. tying them together with wire, obviously with the 1/2 foot being the width of the wall. Then attach the chicken wire to the outside of the wall and what will form the inside and plaster . if you dont use Gabions . 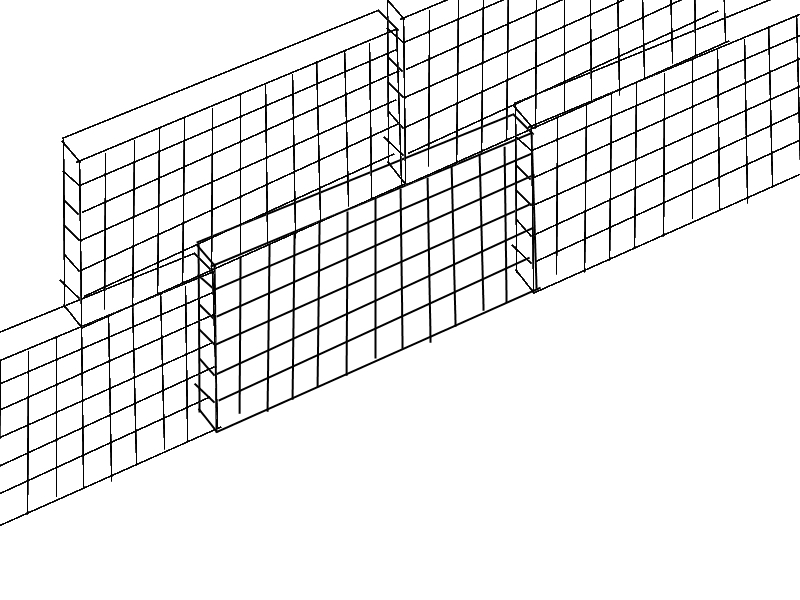 make one ferro cement wall and then another a few cm’s appart, forming the outside of a hollow wall …- space them every few inches with ties to keep the side parallel. you don’t really even have to fill it … when used in building for insulation, it will be very well insulated against cold and pretty light … and also very strong …but not bullet proof. Ferro cement is good for bunker construction because the walls you put up are essentially molds .. and once up, stay there, and don’t need to be brought down again, saving time, and the walls are even pre-plastered. the cement to back fill can then be trucked in and poured straight into the gaps in the “mold”. Imagine your bunker cast on one piece ? Gabions can be used from many things but use in bunkers seams a logical progression. Ferro-Cement can be used to make strong water tanks, and ponds, and pretty much anything that you would like from concrete. “The second blockhouse type, known as the Rice Pattern, was more suited to the military situation unfolding in South Africa during 1901. These corrugated iron blockhouses were named after Major SR Rice of the Royal Engineers who Lord Kitchener appointed to devise a more cost effective and mass producible method. Each Rice pattern blockhouse cost approximately £ 16 and took its garrison of between 7 – 10 men one day to erect.